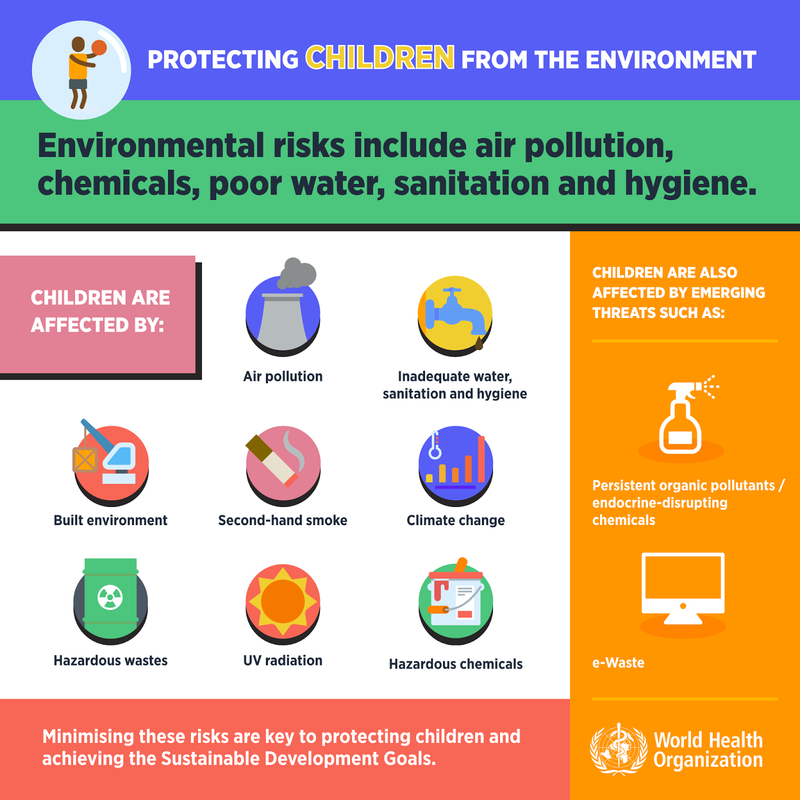 "A polluted environment is a deadly one – particularly for young children," says Dr Margaret Chan, WHO Director-General. 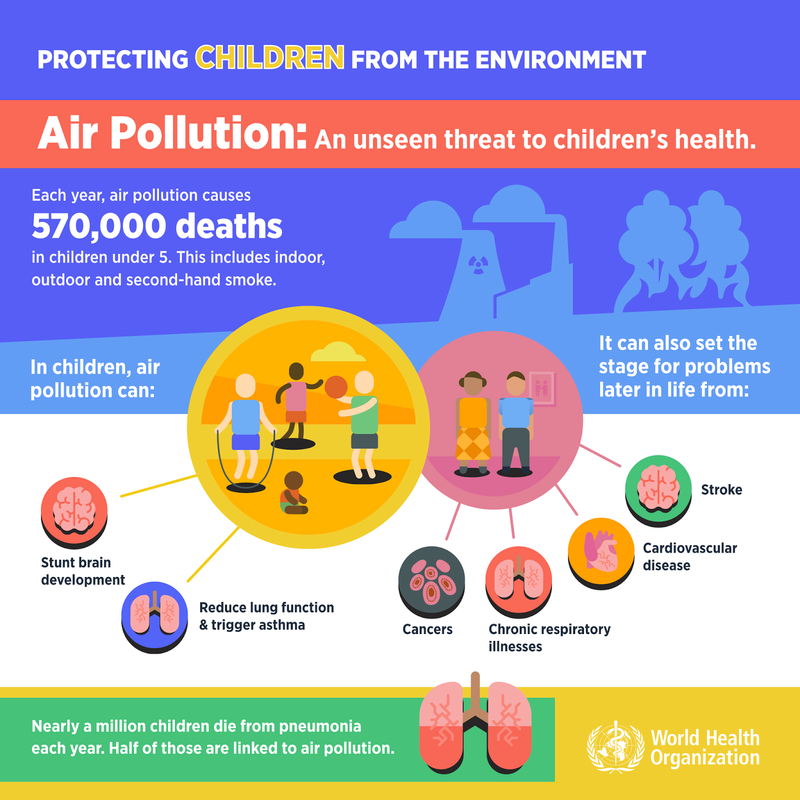 "Their developing organs and immune systems, and smaller bodies and airways, make them especially vulnerable to dirty air and water." 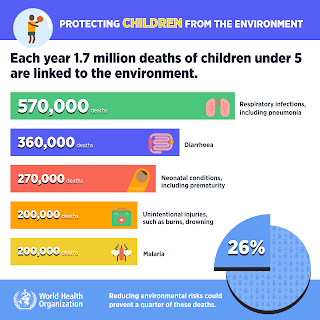 "A polluted environment results in a heavy toll on the health of our children," says Dr Maria Neira, WHO Director, Department of Public Health, Environmental and Social Determinants of Health. 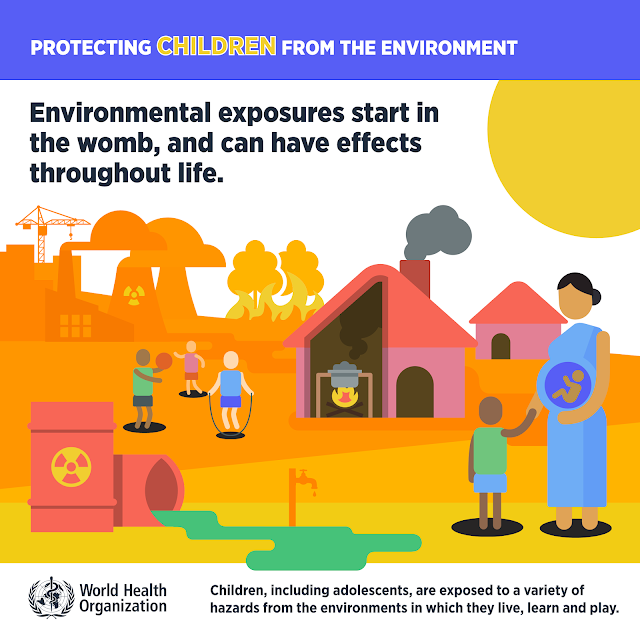 "Investing in the removal of environmental risks to health, such as improving water quality or using cleaner fuels, will result in massive health benefits."